Through the last year we were watching them and they were watching us. The herd is about 40 adults and at the moment around 10 juveniles. They are moving in a quite big area on the hillsides around our plot. They always gather in the evening close to the river in the upper part of the valley. We were aware of the danger that our neighbors would be really interested in our gardens, so we decided from the beginning, to fence the whole plot. We used construction mesh and iron bares as supporting structure that were rammed into the ground or drilled into the stone. This is a very common style of fencing on the island. Its quite cheap compared to galvanized chicken wire and its much stiffer which means less posts. Also due to its rusting the color matches quite well into the surrounding. 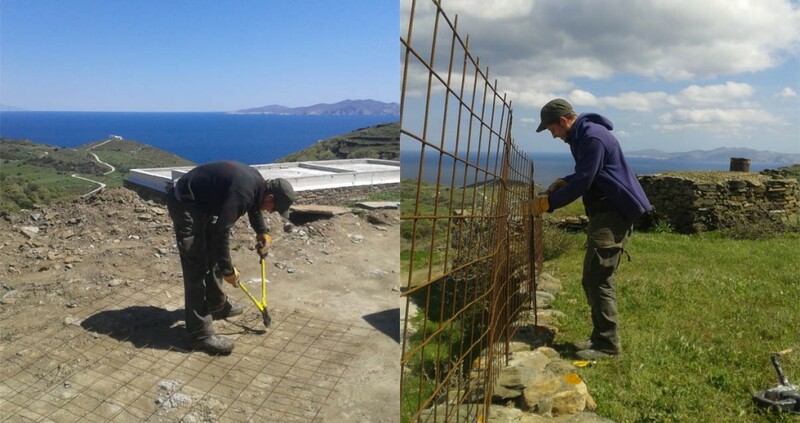 In the stony steep countryside of Tinos these was a heavy job. The reaction to the fence was not notable. 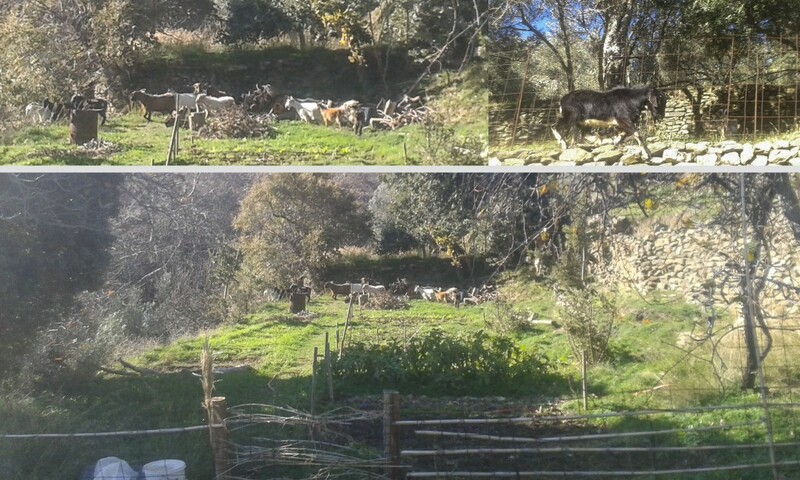 After we started cultivating the interest of the goats towards the fence slowly increased. Until we understood that they are actually patrolling along the fence in order to find a weak spot. They did this with great persistence over months mainly in the time we had left. For a long time we thought that we had done a great job with the fence till we got proven wrong. In the last month they found two weak spots!